The ACCC has responsibility for assessing price notifications under Division 4 of Part VIIA of the Competition and Consumer Act 2010. 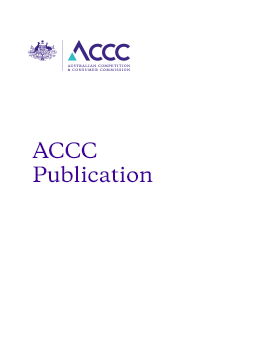 This statement publication draws on the ACCC's experience in assessing price notifications and outlines our preferred approach to undertaking a price notification assessment. It was last updated in March 2017.